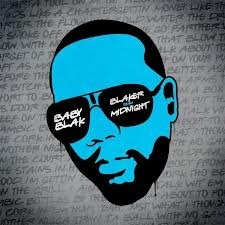 Baby Blak was ushered into the rap game via fellow Philly native DJ Jazzy Jeff, one of its finest craftsmiths. He could use Jeff now. ​For this double A side off his Blaker than Midnight EP, he enlists Sweden’s DJ Devastate, whose production borrows heavily from some familiar sources. Blaker than Midnight owes a great deal to DJ Premier, lifting heaviy off Mos Def’s Mathematics (b-side to Ms. Fat Booty) and though he mimics Primo’s steez admirably, he’s not breaking any ground by doing so. It suffers greatly because of it. Moves 2 Make doesn’t venture that far from template, either. The man can flow over the right production; should have kept shopping for it. 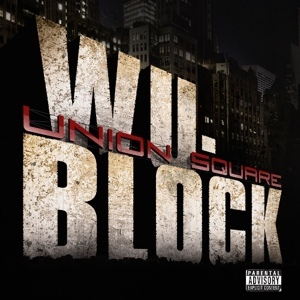 ​The first official release from the anticipated Wu-Tang/D-Block collaboration sets the bar high for the album with Jake Uno’s relentless low boom accentuated by sharp splashes of crash and ride propelling Ghostface Killah and Sheek Louch through the underground of New York and straight to your cerebral. This is a preemptive strike both teams are chomping at the bit to unleash to the streets. When they announced the collaboration last year, they were quite explicit about the fact that this record was for exactly that demographic. This joint is so thick one forgets that it’s a timeless ode to rolling up on honeys in the club. It’s that dope. Drag and drop this into the “fire” section of your subcrates. Jay-Z should pay attention to this record. The Broad Street Bully, who is determined to return to the collective rap consciousness with a vengeance, displays that raw viciousness we have come to expect from the State Prop general. Backed by the familiar coterie (Freeway, Peedi Crack, Omilio Sparks and Young Chris), Sigel delivers his verses with an urgency further punctutated by the fact that he’s staring down a two-year bid, so it’s no surprise he’s going in guns blazing. The Don Cheegro production – unfortunately – too closely mirrors Salaam Remi’s post-90s work with Nas. We are given very little indication as to who Cheegro is. The SP team can take credit for living up to their reputation of being able to spit bars over various types of production but someone really should have tapped Cheegro on the shoulder and let him know Remi’s been there, done that. 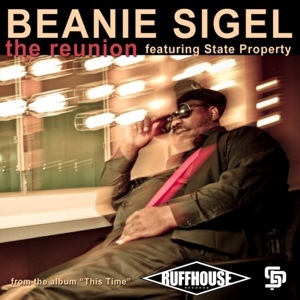 Sigel rips his rap contemporaries a new one and stakes his claim to the throne that he is no longer content with just watching.